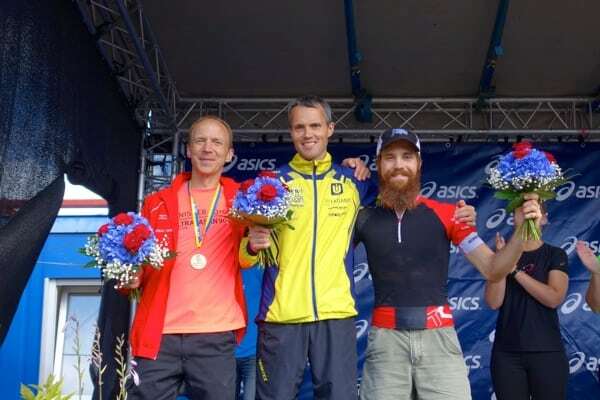 The men’s podium at the 2016 Ultravasan 90k: 3. Frijof Fagerlund, 1. Jarle Risa, 3. Pat Reagan.